WHAT WE DO: Travel Staff takes the burden of sifting through a myriad of resumes from potential candidates from your plate, with a promise to only send you the best candidate recommendation to work for your company. OUR PROCESS: We personally meet with each candidate, screening, interviewing and asking the “right” questions to ensure we have a perfect match. We then test their skills (based on type of work required). And when we find the right candidate to recommend, we forward you their resume, to set up an interview with your HR department. WHAT YOU CAN EXPECT: Specialized service in finding qualified employees that fit the needs of your Travel Business. Prompt response time to your inquiries with a guarantee of finding the perfect match, or you don’t pay. Project Management Services means many different things to the workforce. 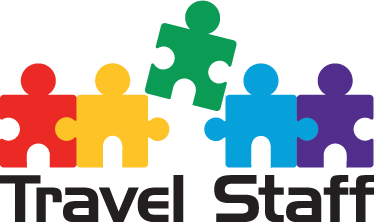 But in the Travel World, it means “specialized individuals for the needs of your business”. Our TEMPS (CA & NY only) are available for long-term assignment positions to book travel for the Entertainment Industry. If you’re an employer in need of a Temp, or if you’re a SABRE and/or Apollo agent wanting to be part of this amazing team, contact us and we will make the match! With an extensive data base of qualified travel management professionals, we have candidates to cover all facets of the business: Operations, Sales & Marketing, Tech, Client Solutions, and Executive Level Managers. These candidates submit their credentials and partake in a preliminary screening process to ensure we are offering the right fit for your company. The best candidates are not out there, aggressively job hunting. Rather, they are discreet, and in this case, discreetly listed with Travel Staff. Save yourself time sifting through a myriad of resumes, screening, interviewing, rejecting and starting the process all over. Our team selects candidates from our database based on your business needs, so you get the benefit of looking beyond the job boards and finding the right staff quickly and efficiently. Candidate Screening is an integral part of our business. Understanding that the travel industry is unique, we thoroughly assess their industry skills, including GDS, international destination knowledge, OTA experience, pricing & faring skills, Airline, TMC and/or Hospitality experience. We conduct thorough screening, interviewing, and background checks on all candidates we submit to you for your hiring consideration. Choose the type of staff you are seeking to hire: TEMP or Permanent Hire. Then send your request, and you will be contacted to set up a brief introductory call. We recruit talented candidates from diverse professions in the Travel and Hospitality industries. Let us find the perfect match for you!